Capstone Agency is a nationally affiliated, student-run integrated communications firm comprised of top communications students at The University of Alabama. 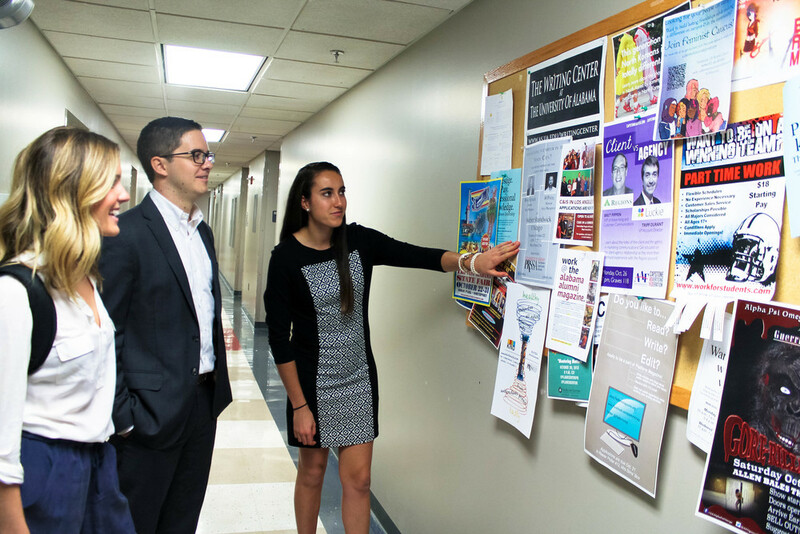 Capstone Agency empowers students to develop professional, client-ready work in a learning environment that pushes creative boundaries, encourages collaboration and refines leadership skills. In 2008, under the leadership of director Regina Pena and firm advisor Teri Henley, Capstone Agency developed a communication plan that required research, planning, implementation and evaluation of all client projects. This led to many successful programs, the agency’s first paying client ‘The Big Read’, and in the spring of 2010, Capstone Agency was approved as a student organization at The University of Alabama. We are an integrated communications agency focused on strategically and innovatively communicating for our clients. This began in 2010 when a team of UA students created and implemented the award-winning LessThanUThink campaign, a client we still work with to this day. Capstone Agency has completed numerous projects and campaigns for the Student Health Center, as well as Alabama Gives Day. Furthermore, we implemented a paid campaign for Alabama Power in 2014 and created a communication plan for NASCAR’S Daytona 500 that same year. Also in 2014, The University of Alabama’s engineering school approached Capstone Agency, requesting a partnership to compete in the U.S. Department of Energy and General Motors’ EcoCAR 3 challenge, a competition between 16 of the top universities that requires collaboration with communications, business and engineering students. Capstone Agency strives to maintain excellent working relationships with current clients, while always pursuing growth in student membership and experience. We wouldn’t be where we are without our clients, and we can’t wait to see where they take us in the future. Capstone Agency is divided into six departments that each perform a specific function of the communication process. Each department is led by a director and an assistant director who report directly to our firm director and assistant firm director. We believe that an integrated, collaborative approach is the key to success, and this structure helps us ensure that we can accomplish any objective our clients throw our way.